Quran Pak : Read the Holy Qur'an in Arabic alongside its Urdu translation. This app provides you with the full Qur'an as well as its full English and Urdu translations along with a full set of audio recitation files. All features are fully enabled . No Limitations! 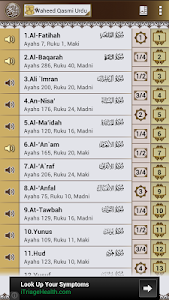 Compact Quran version which works online. Koran lite downloads the data from server automatically in your SD card and saves for the next time use. Recite and Learn the Quran anywhere and everywhere. Qur'an is a true Islamic book for moslems. 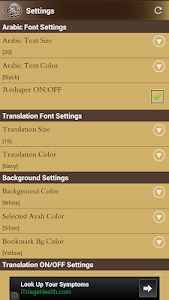 Translation is added within APK, no need to download now. Similar to "Al Quran Audio + Urdu Terjma"